We are actively engaged in academic research on culture and culture change, as well as professional and scholarly writing and public speaking. A sample of current and recent work is below. Cognitive science over the last 30 years shows much of what we know about culture in the business world is based on myth, wishful thinking, or is just plain wrong. 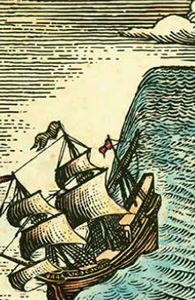 Much work on culture in organizations is based on 100 year old science, or simply anecdote. This is one of the principal reasons why most culture shaping and change programs often amount to little more than sloganeering with little impact on the lived experience of employees. 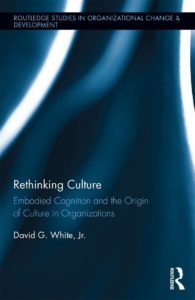 Rethinking Culture describes and presents evidence for a new framework of organizational culture based on the cognitive science of the “cultural mind”. This new research has far reaching implications (and consequences) for scholars of culture as well as managers and practitioners. Research in cognitive science over the last 30 years shows much of what we know about culture in the business world is based on myth, wishful thinking, or is just plain wrong. The implications of this new research on organizations is profound, with far reaching consequences for managers and practitioners.